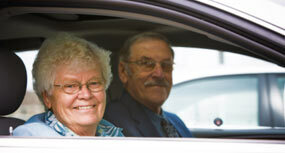 If you are a cancer patient with your family doctor located in Mount Forest or if you live in or the immediate area of Mount Forest, we offer you transportation, free of charge, to treatment centres in Mount Forest, Kitchener, Toronto, Hamilton, London, and elsewhere. Our team of volunteer drivers are ready, willing, and able! They drive more than 12,000 km each month. "I talk with the patient and their caregivers – both their family and their doctors," says Carol. "I try to discover what each patient needs, and then I try to find it. I coordinate patients with their healthcare team at Mount Forest Family Health Team, Louise Marshall Hospital, Grand River Cancer Centre, and Cancer Patient Services to help them navigate the system, and I connect them to community agencies for financial, counselling, and other support. I often help patients build their own network of support, both locally and when attending a large cancer centre. "Caregivers often need to talk with me about their emotional and practical needs. They may visit my office for a 'time out' break and to discuss their challenges and their caretaking actions. "Some of my time is focused on organizing group activities, such as Better Sleep, Lymphercise, 'Look Good, Feel Better', and 'Life after Cancer' groups. These activities help the patients deal with specific problems and, at the same time, talk with others who have similar problems. "I am really grateful to Cancer Patient Services Corp.," Carol concludes. 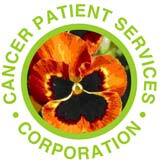 "Thanks to the support this organization receives from our community, CPSC set up the Cancer Care Coordinator position numerous years ago and has fully funded it ever since. They also provide me with resources to help me in this position." To contact Carol Armstrong, the Cancer Care Coordinator, please phone 519 323-0255 (ext 5014) or e-mail carmstrong@mountforestfht.com.